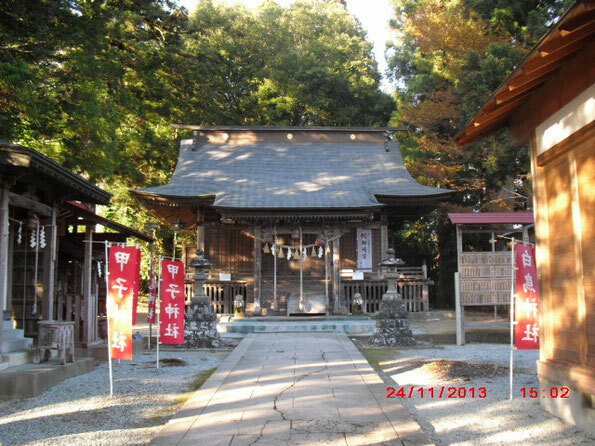 Shiratori Shrine located in Murata-machi, Miyagi Pref., well known as a location thought to be flowing with mystical energy. 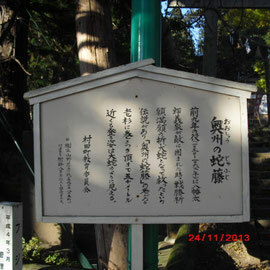 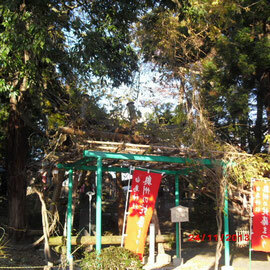 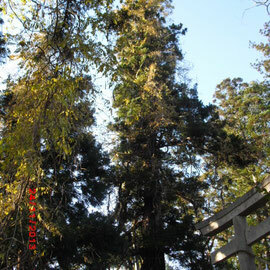 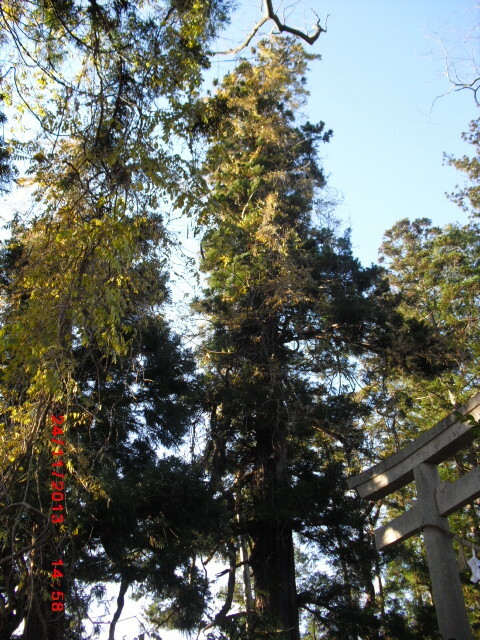 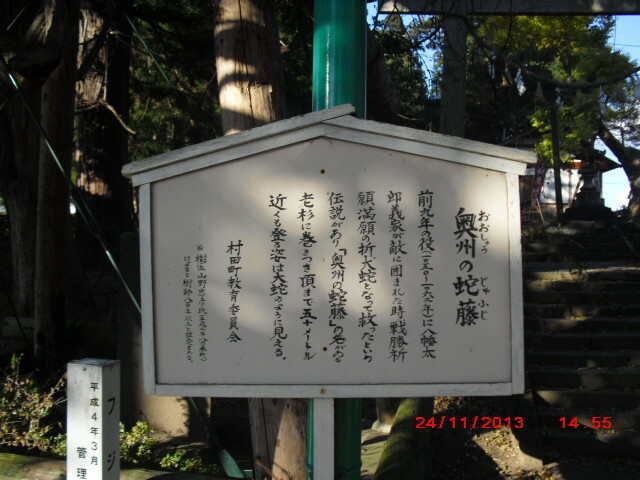 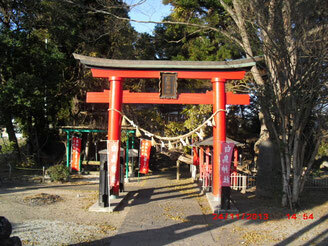 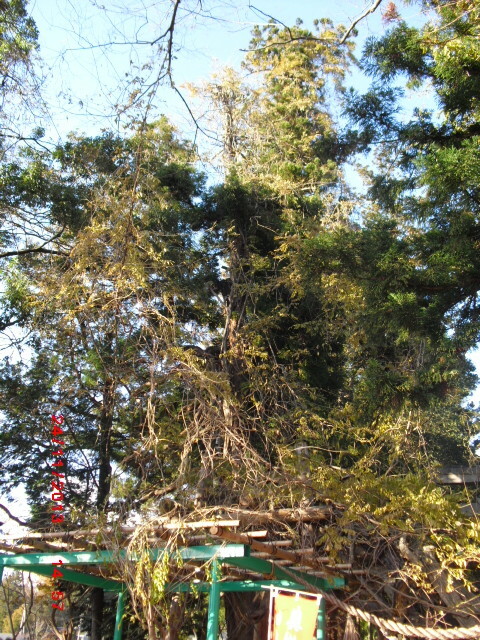 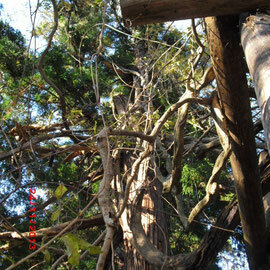 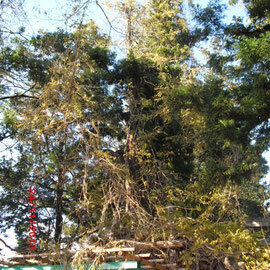 There are 1,000-year-old big tree groups in the shrine. 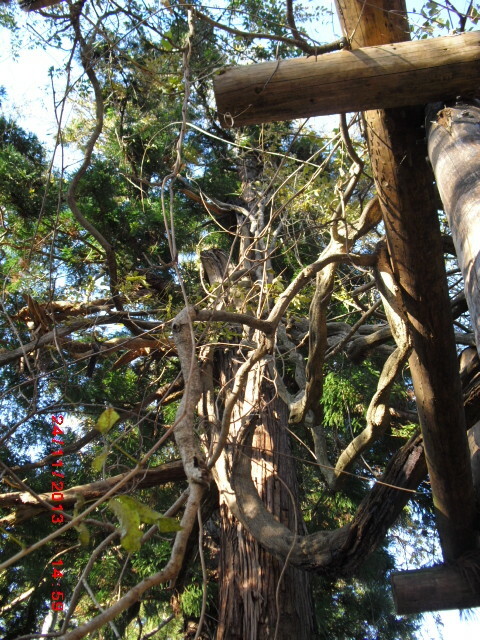 'Ohshu no Jafuji' - Long snake-like wisteria. 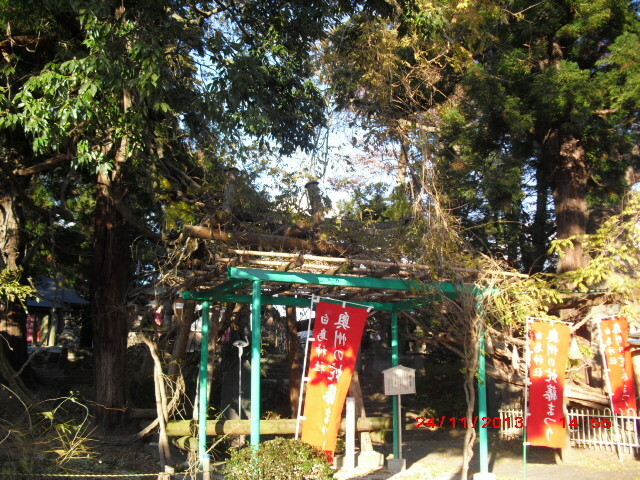 Legend has it that when Minamotono Yoshiie was surrounded by the enemy around this area during Zen-kunen-no-eki, one of the big battles in Tohoku area in 1050 - 1062, the wisteria became 2 dragons which spew fire and beat the enemy off.